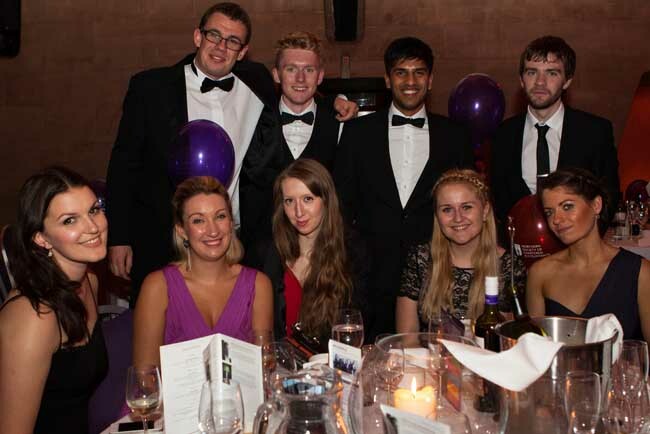 The Northern Society of Chartered Accountants Business and Awards Dinner will be on Friday 14 October 2016. 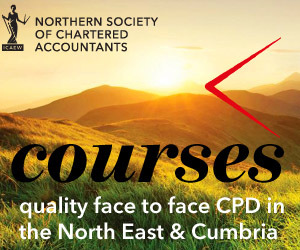 Join David Arthur, President of Northern Society of Chartered Accountants, fellow Northern Society members and their guests for an inspiring talk by our keynote speaker John Lloyd. Our Business and Awards Dinner will be held on Friday 14 October 2016 in the Banqueting Hall, Civic Centre, Newcastle upon Tyne from 6.45pm until late to allow for informal networking after the meal. Our principal guest speakers this year will be author and producer John Lloyd CBE and ICAEW President Hilary Lindsay. During the course of the evening we will raise funds in support of The Percy Hedley Foundation. 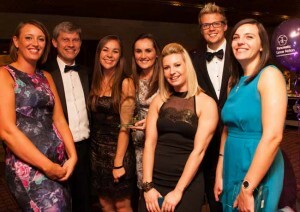 Further information on all of the Northern Society Awards can be found at norsca.co.uk/awards. Again we will be hosting tables exclusively for Members in Practice and Members in Business allowing the opportunity to be seated with fellow chartered accountants. If you think that this would be applicable to you then please contact Joanne Lucking joanne.lucking@icaew.com to discuss this further. 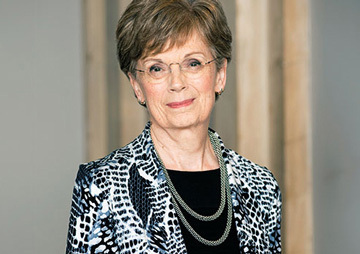 We are delighted to announce that we will be joined by Hilary Lindsay, ICAEW President who will speak at the dinner. Hilary is an award-winning lecturer on finance and managment for the Open University Business School. She is passionate about personal development and recently completed doctoral research into the roles of continuing professional development and lifelong learning in the accountancy profession. She has been a trustee at CABA, the Chartered Accountants’ Benevolent Association, for 7 years, is a board member at Axiom Housing Association, and has run several marathans for charity. We are delighted to announce that our guest speaker this year will be TV comedy writer and producer, John Lloyd CBE. John is an English television producer and writer best known for his work on such comedy television programmes as Not the Nine O’Clock News, Spitting Image, The Hitchhiker’s Guide to the Galaxy, Blackadder and QI. He is currently the presenter of BBC Radio 4’s The Museum of Curiosity, a spin-off of QI. He worked as a radio producer at the BBC between 1974 and 1978 and created The News Quiz, The News Huddlines, To The Manor Born (with Peter Spence) and Quote… Unquote (with Nigel Rees). He wrote Hordes of the Things (as J. H. W. Lloyd) with Andrew Marshall, co-authored two episodes of Doctor Snuggles with Douglas Adams, and went on to co-write the fifth and sixth episodes of the first radio series of The Hitchhiker’s Guide to the Galaxy with Adams (Douglas Adams wrote all the previous and subsequent episodes solo, as well as the television adaptation – though Lloyd was involved in the TV series as associate producer). He also produced The Burkiss Way. John then worked as a TV producer at both the BBC and ITV 1979–1989, where he created Not the Nine O’Clock News (with Sean Hardie) and Spitting Image (with Peter Fluck and Roger Law). He also produced all four Blackadder series. 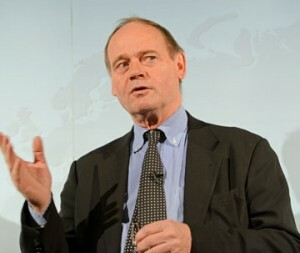 He was originally to have been the host of BBC topical news quiz Have I Got News For You, with the programme initially intended to be called John Lloyd’s Newsround. A pilot episode of the show was recorded under this name in mid-1990, with John hosting alongside team captains Ian Hislop and Paul Merton. He subsequently decided to pull out of hosting the programme full-time and the pilot episode was never broadcast. John was replaced by Angus Deayton as host and the show was renamed Have I Got News for You in time for its debut on BBC2 later that year. John was appointed Commander of the Order of the British Empire (CBE) in the 2011 New Year Honours for services to broadcasting. If you are an ICAEW member under the age of 35 or either a Sole Practitioner or Business Member please call the events booking team to receive the discounted prices. Sponsorship opportunities are available for your organisation. For further information and to discuss sponsorship opportunities please contact Joanne Lucking joanne.lucking@icaew.com 0191 300 0532. The Percy Hedley Foundation provides a wide range of high quality, specialist and personalised care and education support to disabled people and their families. It meets the needs of disabled people with cerebral palsy, communication impairments, sensory impairments and complex learning, social care and therapeutic needs. The Foundation offers a wide range of services to children, young people and adults. Our education services include Hedley’s Percy Hedley School, Hedley’s Northern Counties School, Hedley’s College and residential and respite care for all ages. Adult services include residential services and an ever increasing variety of day care services. We also run a hugely successful Employability Project which has just received additional funding from the Big Lottery to continue its work with employers over the next three years. The Sports Academy offers a wide range of disability sports catering for all ages and its facilities are used not only by many local disabled groups but also for regional and national events. To make all of this happen we have a dedicated team of fundraisers, who work all year round to raise money that goes directly to provide these vital services, specialist equipment and facilities in the North East that simply wouldn’t exist without your continued support.